6 Millionth Hit Gift From Juan !!!! Already 6 mil hits! 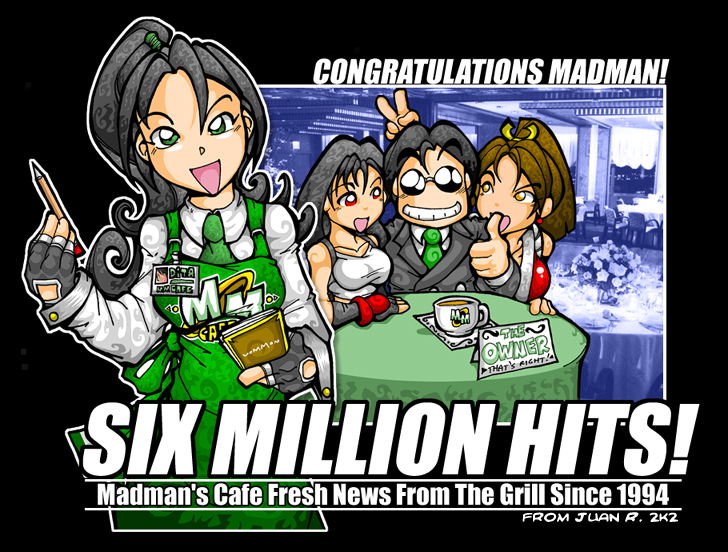 The Madman's Cafe celebrates its 6 Millionth Hit thanks to visitors like you!!! Thanks to Juan Ramirez, Tifa, Mai and MMCafe Mascot Dita are up for celebrating in the ever-green MMCafe. Funky. Thanks, Juan! For more funky artworks and a few cans of Cat Tuna, check Juan's Buttered website!